Nutrafol which I found on the internet promotes to address the root causes of hair loss while supporting a healthy hair growth in both sexes. Could this be some mere deceptive claims or a solution that has been always sort for? Well, as we all know, many individuals experience a variety of conditions that impact their lives greatly. In recent times, the incidence of hair loss has reportedly increased in both men and women. This can be a traumatic experience. As a matter of fact, many folks suffer from hair loss for a variety of reasons. Although it is sometimes attributed to aging, disease or vitamin deficiency, studies also shows that hair loss can be hereditary affecting young adults as well as children. In individuals who are healthy, an average of 50 to 100 hairs is lost on a daily basis. More substantial hair loss or bald spots may suggest a problem. A Significant number of manufacturers have flooded the market with different categories of hair loss treatment formula claiming several benefits. Therefore, get to the review for full details on all about the Nutrafol supplement below ! 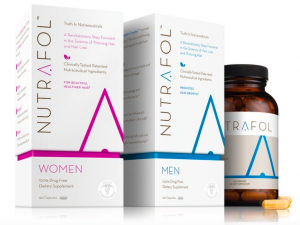 Nutrafol is marketed as a brand for innovative supplements that targets the diverse causes of hair loss in men and women. It is manufactured by the Nutraceutical Wellness LLC and it is said to be a natural alternative to treating hair loss and thinning hair. In line with the details obtained from the products’ official website and in other third party websites, Nutrafol exists for men and women. They have almost the same constituents. However, they differ in the proportion of ingredients incorporated. 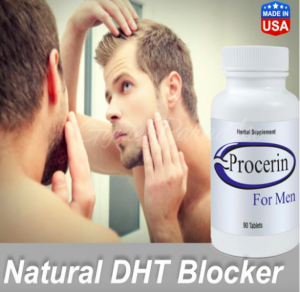 According to the manufacturer, their hair loss supplement is unique and scientifically proven to combat stress, aging, hormonal imbalances, inflammation, free radicals and other factors attributed to weakened hair follicles. The company promotes that it is important to heal the follicle in other to rebalance the health of the scalp and stimulate healthy hair growth. Nutrafol, according to the manufacturer’s description employs therapeutic botanicals to heal the follicle and regenerate its function. It claims to be the only nutraceutical hair supplement that supports hair growth from the root. According to the manufacturer, Nutrafol utilizes standardized botanicals. The maker exclaims that the ingredients are ultra-pure, ultra-potent and natural. These should include SYNERGEN COMPLEX PATENT PENDING: Hydrolyzed Fish Collagen Type 1 & 3, Saw Palmetto Valensa SuperCritical CO2 Extract >45%, BCM-95® Bio-Curcumin (Curcuma Longa) 25:1 extract, Sensoril® Ashwagandha Root and Leaf Extract (10% Withanolides), Tocotrienol (Tocomax® 20%) alpha-,beta-,gamma-,delta-tocotrienol, Hyaluronic Acid Proprietary NutrafolTM Blend, L-Methionine, L-Cysteine Hydrochloride, L-Lysine, Horsetail (herb) Extract (Equistum arvense) std. to 7% Silica, Resveratrol (Polygonum cuspidatum 50%), Horsetail (herb) Extract (Equistum arvense)(std. to 7% Silica), Fo-Ti (root) Powder (Polygonum multiflorum), Black Pepper Fruit Extract (std. to 95% piperine) BioPerine®, Red Pepper Fruit Extract (std. to 2% capsaicin)Biotin, Selenium (as Selenium amino acid chelate), Zinc (as Zinc Amino Acid Chelate), Camu Camu 4:1 Extract Powder (Vitamin C >20% Vitamin C), Vitamin D3 (as Cholecalciferol) (from Lanolin), Vitamin A (as Beta Carotene). Now each bottle contains 120 capsules and the recommendation is to take four (4) capsules of the supplement with meals for a minimum of 3-6 months. The manufacturer of Nutrafol shares that it addresses the four (4) stages of a healthy hair growth. It is said to target the different factors that attributes to hair loss by regulating the level of DHT and reducing stress hormones. It should break down the occurrence of regular inflammation as well as oxidative stress which affects hair growth. Nutrafol is known to inhibit cycling and signaling. Additionally, it should rejuvenate dead follicles as it promotes healthy hair signaling, improves circulation while allowing the follicles to heal. Ultimately, it is said to stimulate the hair growth cycle, providing the hair with vitamins and other essential components to revitalize the scalp while causing a healthy hair growth. In line with the manufacturer’s details, there is a Nutrafol hair loss treatment brand for men and there is one for women. It is not for pregnant women or breastfeeding mothers. 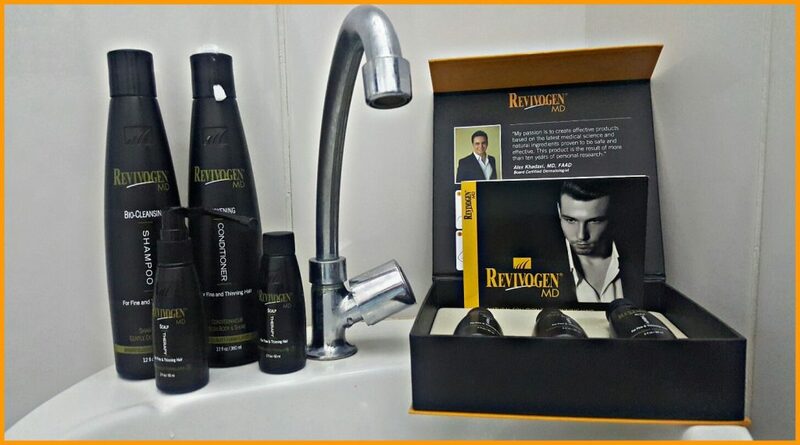 According to them, the product is designed for men and women who are experiencing hair loss and thinning. This implies that folks who want to stop hair loss, hair thinning while growing a fuller and thicker head of hair can use Nutrafol. Folks who have any medical condition or taking prescription medications should consult a doctor before using it. People who are taking blood thinners or having a history or at risk of a hormonal sensitive condition should refer to the contraindications sections for more information. 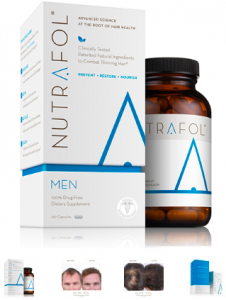 Nutrafol is for folks who are 18 years and above. It is not intended to diagnose, prevent, treat or cure any disease. Users will have to continue the use of Nutrafol to maintain results. Nutraceutical Wellness LLC mentions to offer refunds to their customers/users who are not satisfied with their results. That is, anyone who purchased this Nutrafol supplement can use it for a whole thirty days within which it can, if the results are unacceptable, be returned for a refund less restocking fee. The manufacturer states that this hair loss treatment formula incorporates standardized ingredients that have been used for thousands of years in many parts of the world without reports of side effects. This implies that we should not experience any side effect if we use the formula as directed. Nutrafol is said to be made in a U.S certified laboratory in line with current good manufacturing practices. Nutraceutical Wellness LLC promotes to offer free shipping to customers in the U.S. They also ship internationally to most countries in the world and offer tracking information for all shipments for customers’ convenience. Not to mention, it also available in retail websites such as eBay, Amazon (www.Amazon.com/Nutrafol), etc. Nutrafol, according to the manufacturer is the leading hair loss and hair thinning treatment in the market. It is said to contain unique and powerful ingredients to enhance the hair. 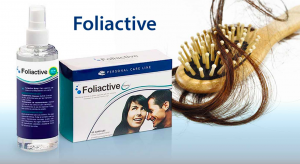 Nutraceutical Wellness LLC does have clinical support for this hair loss treatment supplement. Additionally, Nutrafol company has pictures proofs from previous users of this supplement. In line with the details obtained before putting up this review, the product is not drugs or prescription pills to treat hair loss, but a natural remedy. Also, the incredible guarantee of a refund by the manufacturer is commendable. At this point, I will recommend that men and women who experience hair loss should check out Nutrafol at their official website or visit the Amazon website (www.Amazon.com/Nutrafol) where you will actually see users reviews as well. Don’t be shy! Do leave your comments in the box below! I want to hear you. Previous Post Hair Loss Black Book Review – Will this PDF eBook Address Hair Loss? Get Details Here! Next Post Verseo Reviews for Hair Growth and Hair Loss Products – A Complete Review from Results! Has nutrafol ever been tested with cancer patients who have lost their hair ? If so, what were the results? Well, there is articles/blog on the Nutrafol website where it talks about cancer patients along with the product, but no specific tested found. In fact, I would suggest you send them an email and ask them in regards to this for your own safety because Nutrafol products are very effective. in your review, you stated there are no side effects. I have read several reviews and there are side effects when taking Nutrafol. I personally have just started on them and have experienced constant stomach pains since I started less than a week ago. Well the pills are very effective, and that is why it works very well for hair growth, in which each person’s body may react differently from the effective and safe ingredient’s list. However, when I did this review, I did not find any negative side effects at all. But I appreciate you sharing your experience as this will help the next person as well. have been using for 90 days w/o any results. Nutrafol’s rep said it should start to show growth going forward as it takes that length of time in the body for upstart. So the 30 day guarantee is a bit misleading b/c it takes longer for it to work according to rep. I will take it through January (4th. month) and if hair dresser does not see any baby hair growth, will terminate mu auto shipments. Really? Yes, there are some products that actually take longer to show results. Yet, most of them do recommend 3-6 months to see visual growth. Thanks for sharing your experience.